One of the most beautiful things about London is its diversity. It’s home to people from all over the world who have brought little pockets of culture to corners throughout the city. 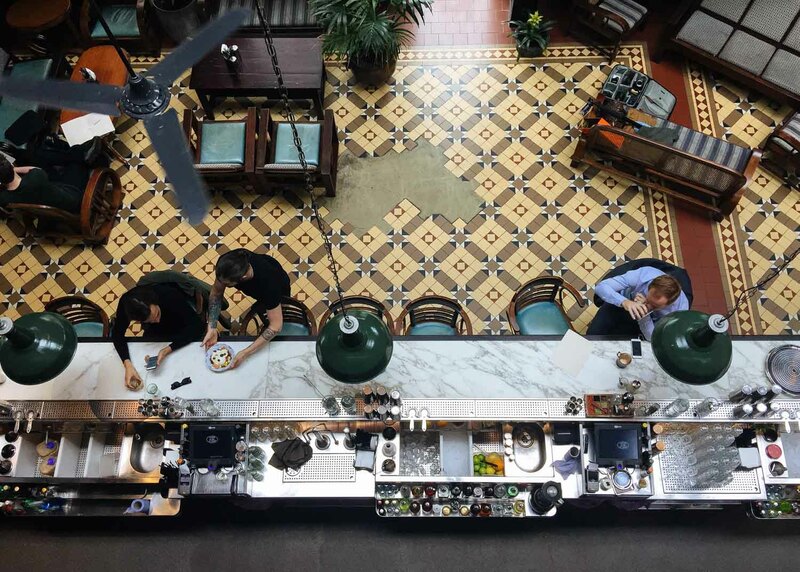 One of the best things about this is the food: the capital is home to some of the best international cuisine in the world, covering every country on the map. From Hawaiian poke to Taiwanese bao, you could eat from a different region every day. 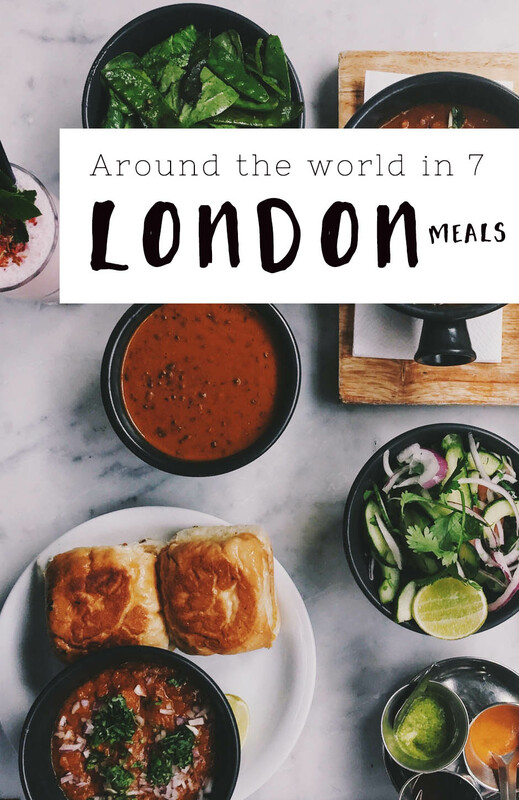 For the latest episode of Victoria’s Insider Guide to London, I take you around the world in seven London meals. Of course, I had to leave out hundreds of countries and regions, but here’s a selection of some of my favourites in the capital. 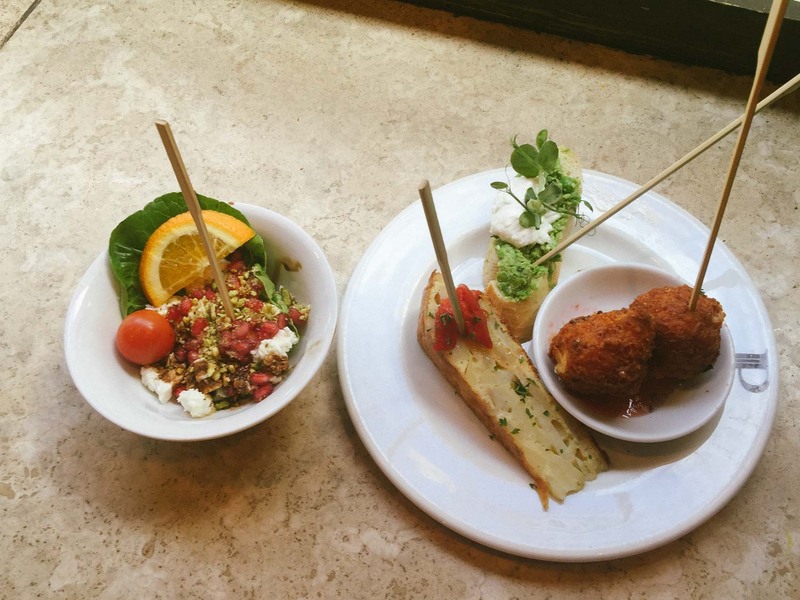 Pix specialises in the Basque version of tapas, which come spiked with a little toothpick. You don’t place an order, but instead take a plate and fill it with all the food you like, collecting the toothpicks as you go. You pay based on the number of toothpicks you have at the end. There are four Pix bars in London – in Notting Hill, Covent Garden, Soho and Carnaby. Pix Soho is the one in the video, and it also has a basement cocktail bar called Rooms by the Hour. Miss Tapas is my and Steve’s favourite restaurant in London. We used to live on the same street as it and went as often as possible. 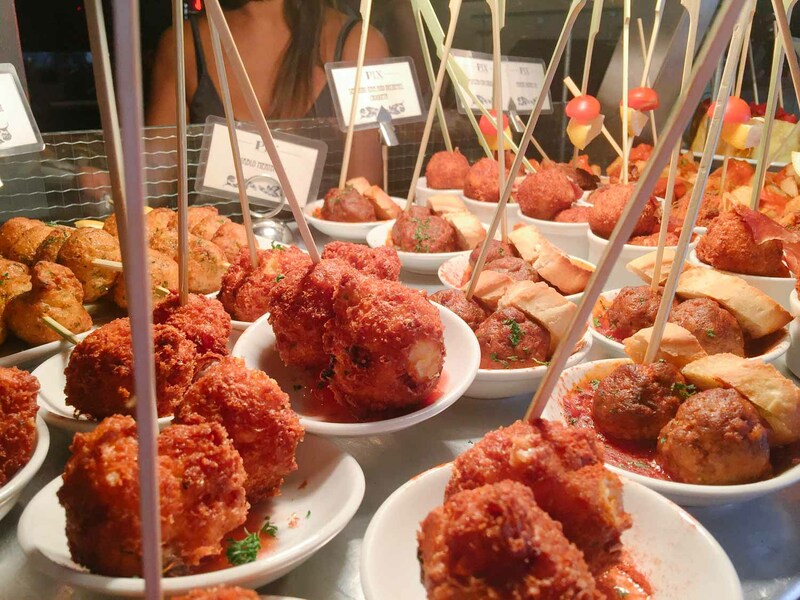 It’s reasonably priced and all the food is perfect – don’t miss the tortilla and croquettas. Meson don Felipe is the tapas bar that most closely reminds me of Spain. It’s exactly like the tapas places you find in Spanish towns, and the food is delicious. 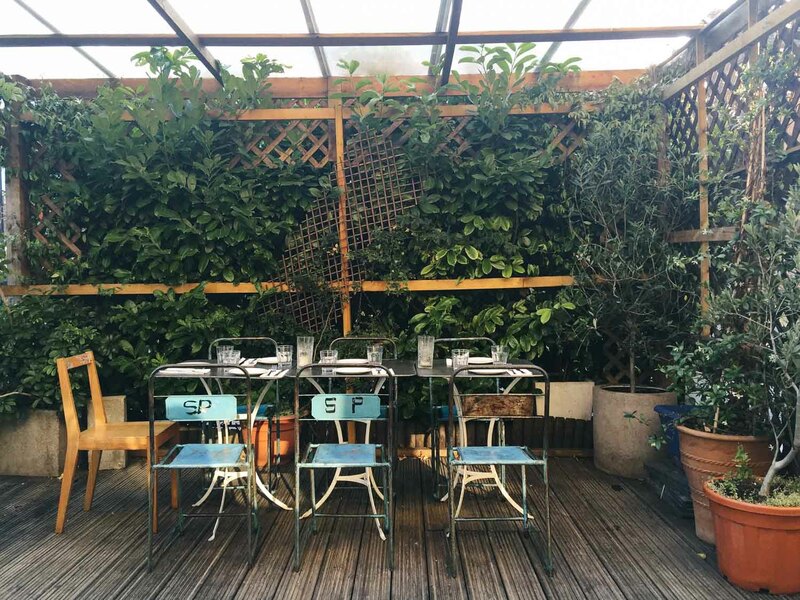 Tucked away in a leafy corner of Peckham is this little gem, Peckham Bazaar. It specialises in Balkan cuisine, which covers a huge region, including Greece, Albania, Romania and Serbia. It prides itself on using fresh ingredients, and the chefs create their menus based on whatever they find in the market that day. I’ve never had a bad meal there. If it’s sunny, the outside courtyard is particularly lovely. 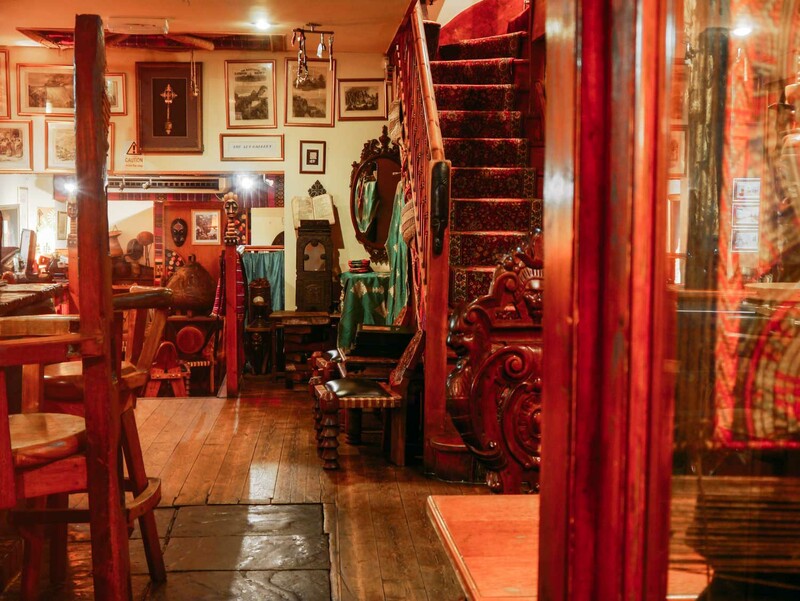 Tufnell Park and the surrounding area is known for having some great Ethiopian restaurants, and Lailbela is our favourite. It’s an atmospheric place, filled with carvings, textiles and paintings from Africa. And it serves all the Ethiopian classics, including injera, a sourdough-risen flatbread, which you use to scoop up your meal. Just down the road from Lalibela in Kentish Town is Queen of Sheba, another authentic Ethiopian option, serving good food at cheap prices. Don’t miss the coffee. 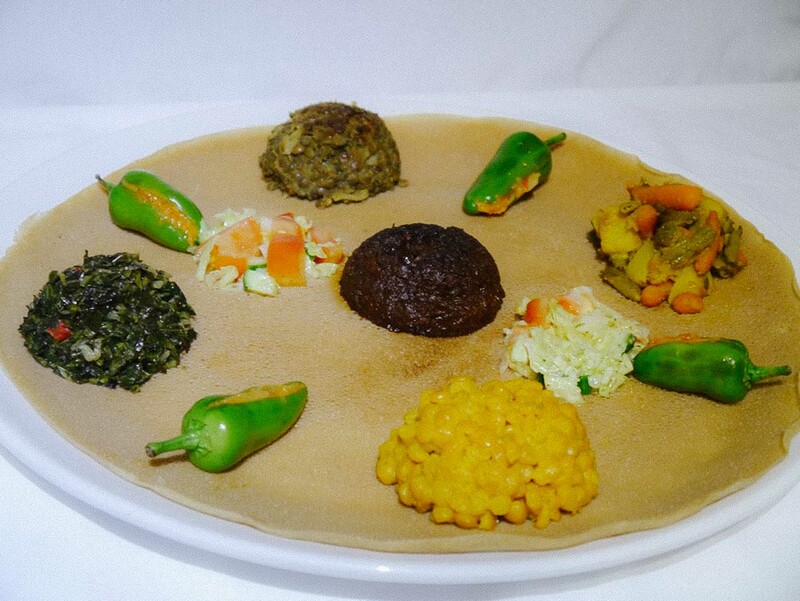 One of the classic ways to eat Ethiopian food is by ordering a sharing platter that comes on a bed of injera. Not all London’s Ethiopian restaurants do this, but Merkato is one that does. It also serves homemade tej, a honey wine. 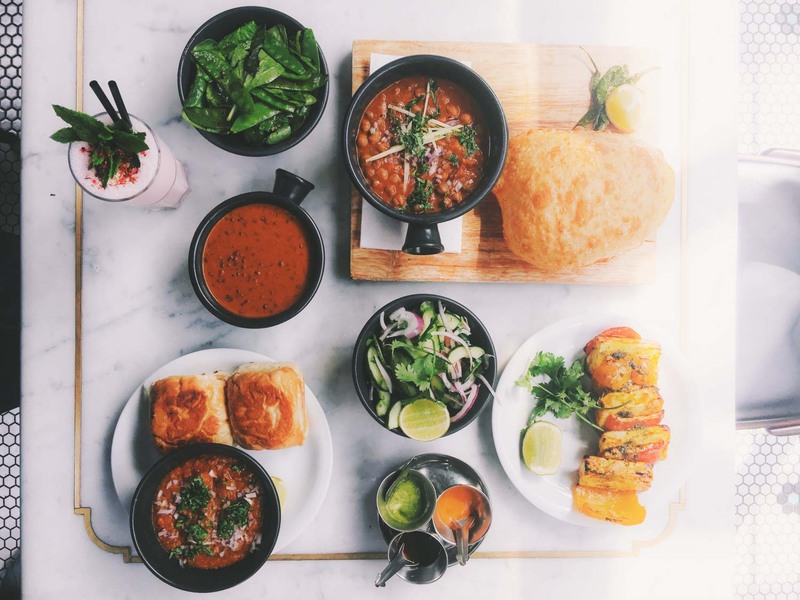 Dishoom took London by storm a few years back, quickly establishing itself as one of the most exciting Indian restaurants in London. The interior design is a exquisite, styled on the old Irani cafes of Bombay. The Kings Cross branch in the video is my favourite. 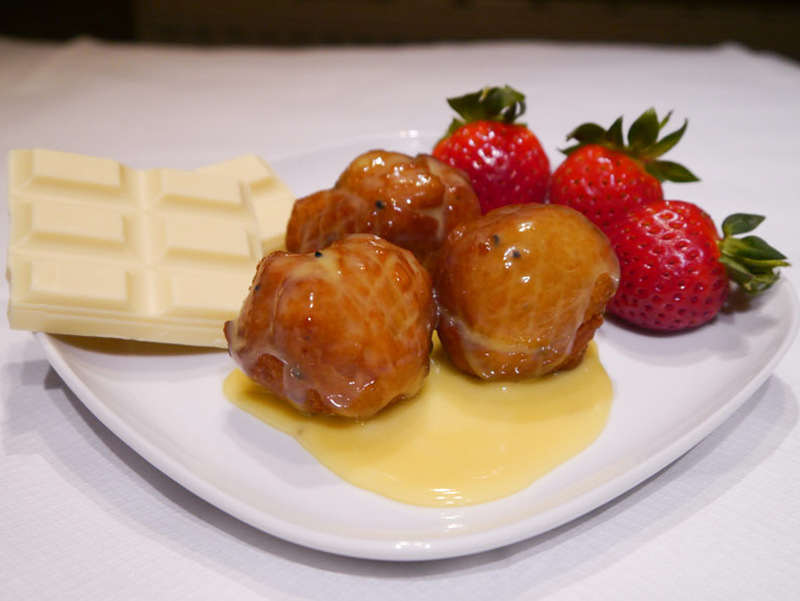 Food is served all day from breakfast through to dinner. 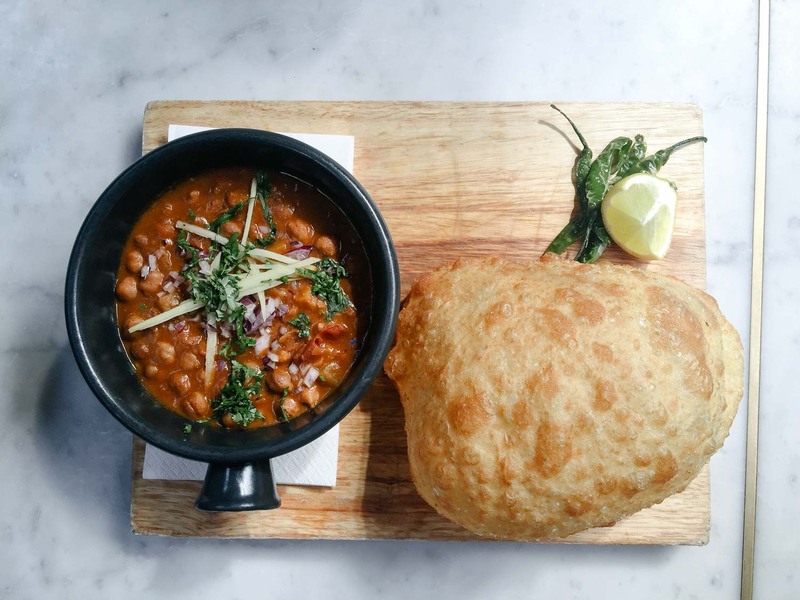 The breakfast naan rolls are a popular twist on an English classic, and if you’re there for lunch/dinner, don’t miss the house dhal and chole batura. There are currently four branches in the city: Kings Cross, Soho, Covent Garden and Carnaby. The area around Whitechapel is famed for its curry houses and Tayyabs is one of the favourites. The sprawling restaurant serves all the classics you’d expect to see in a British curry house, and it does them all well. It’s very reasonably priced and you can bring your own alcohol. A long-time favourite with Londoners in the know, Ganapati is the go-to place for South Indian cuisine, including thalis and dosa. It’s one of my favourite restaurants in London. These little Taiwanese buns have taken London by storm, and the most famous restaurant of all is Bao in Soho, which nearly always has a queue outside. However, they also have a little stall at the Neil Street Market on Saturdays; there’s still a queue, but it’s not so long, and definitely worth the wait. Vegetarians are catered for with a daikon option, and meat eaters can choose between pork and chicken. 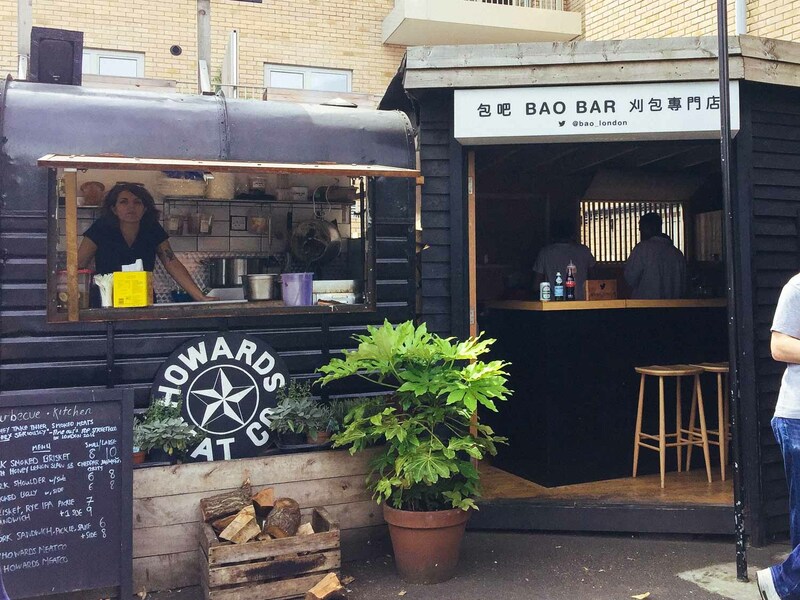 Husband of Miss Tapas, Mr Bao in Peckham is just as good as its wife. The marshmallow desert bas is a particular treat. And yes, it really is true: Mr Bao is married to Miss Tapas! 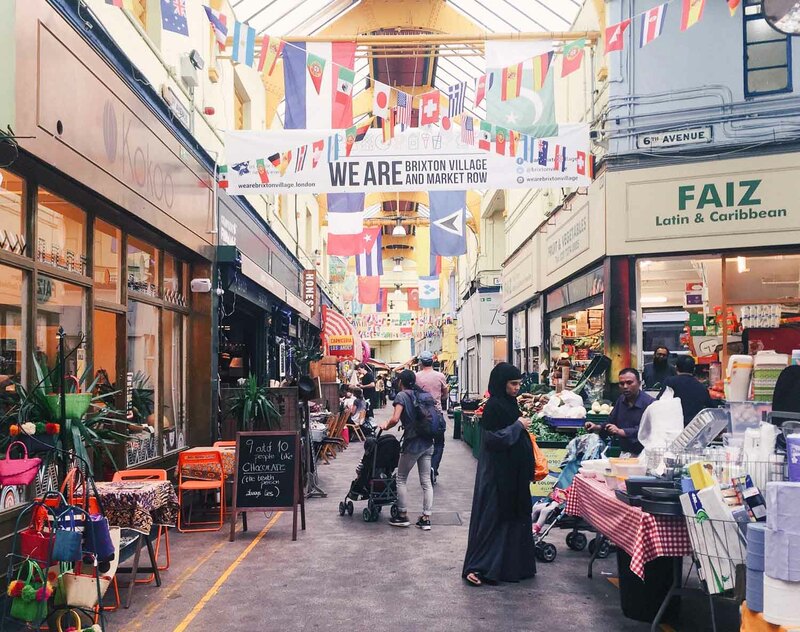 Once upon a time, Brixton Village and Market Row were lovely little secrets, but now they’re well-known as some of the best foodie destinations in London. Despite the crowds, they are still charming places to visit, and if you go outside of the weekends, they’re not quite so busy. The two markets are filled with little, independent restaurants, selling food from all over the world. 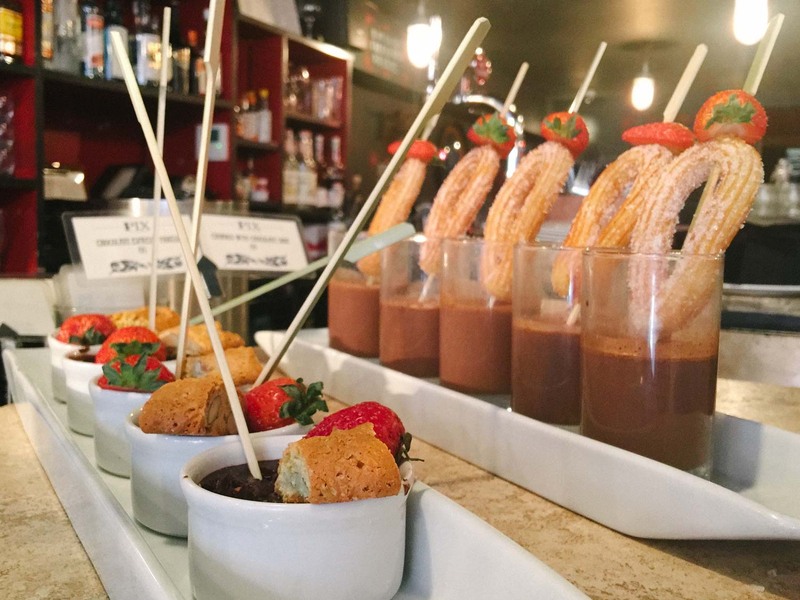 Carioca is a colourful option, serving Brazilian food, from brunch through to dinner. 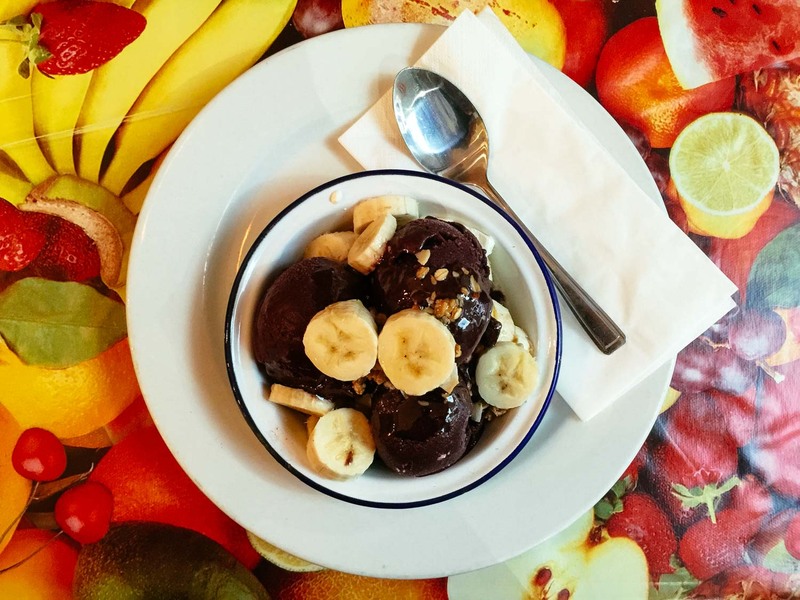 I was delighted to find some acai – a dish I loved when in Brazil. 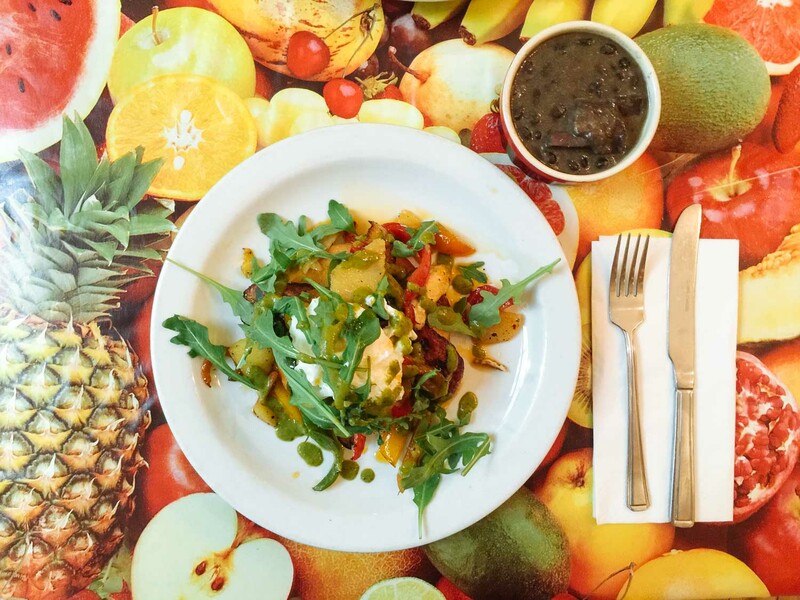 Carioca also currently has a pop-up restaurant in Boxpark Croydon. 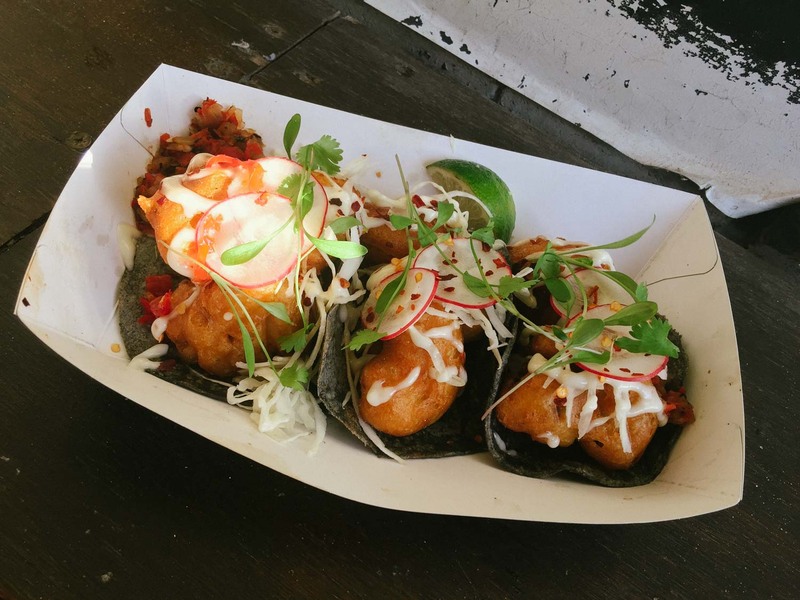 This cute little Mexican restaurant, Casa Morita, is one of my favourites. The food is authentic, using corn tortillas, and no sign of any Tex Mex. And the tasting menu is both good value and delicious – there’s even a vegetarian option. This tiny little Thai restaurant is so good that I’ve been known to sit outside in the cold, wrapped in a blanket to enjoy it. 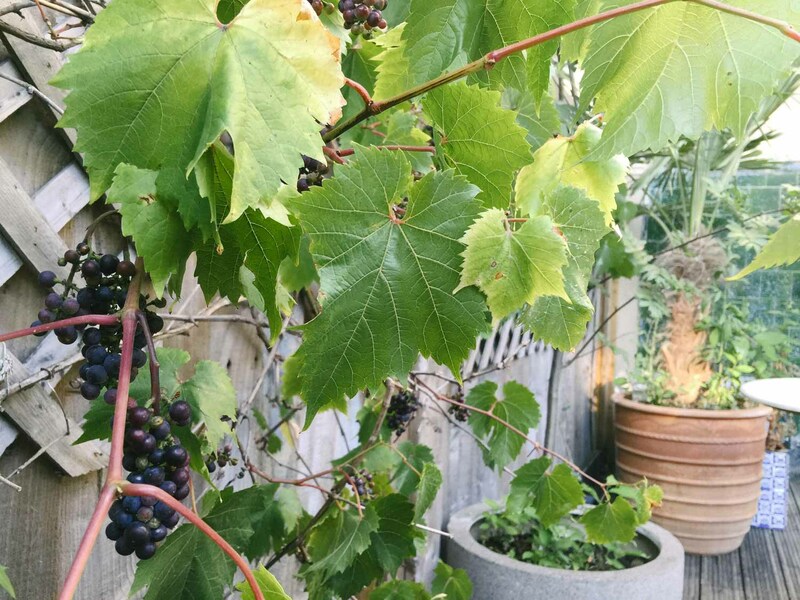 You’re lucky to get a seat inside on any day of the week, but they have lots of outdoor seating, and even if you have to wait, the food is well worth it. 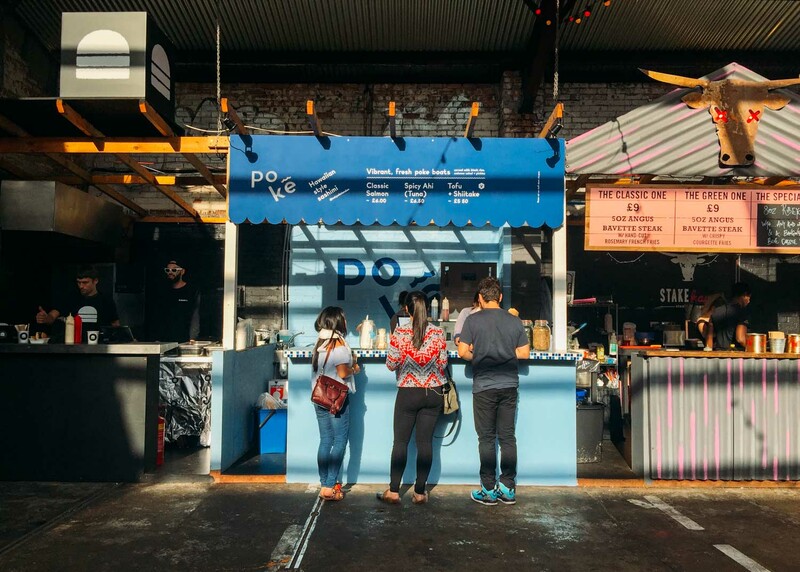 London’s street markets are some of the best places to try international cuisine. 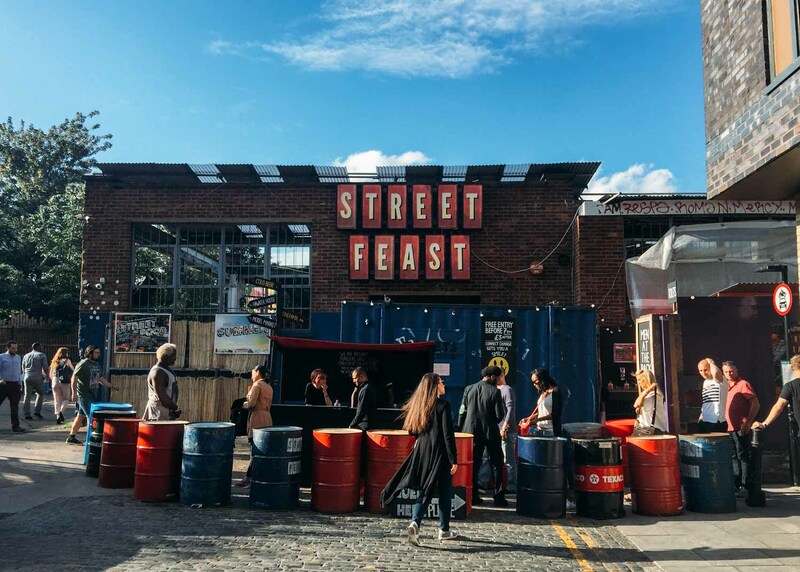 A favourite is Street Feast where you can find a whole smorgasbord of cuisines. You could have a course from every continent! As the video ended in the Americas, I went for some Mexican tacos and Hawaiian poke. The meringue stall also looked delicious! 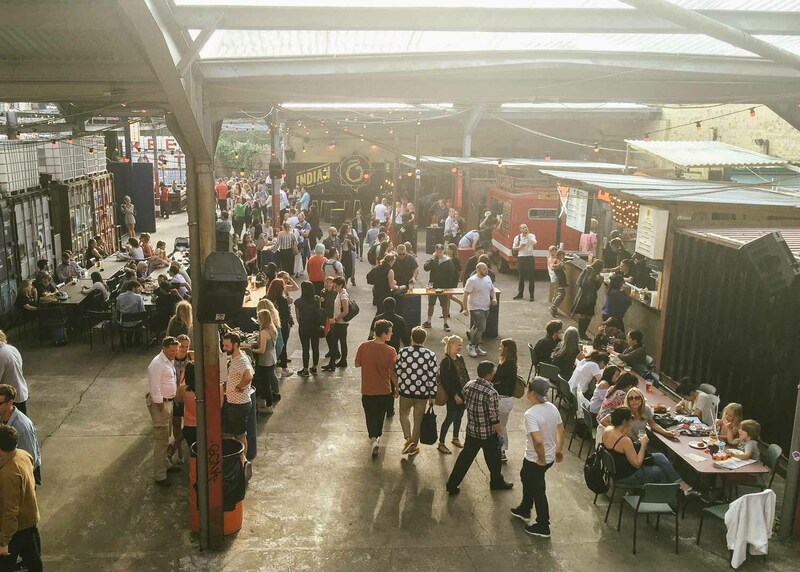 Street Feast has some great bars alongside the restaurants, so is a great place to spend a whole evening. The one in the video is the Dalston branch, which is only open in the summer, but they also have permanent sites in Canary Wharf, Shoreditch, Lewisham and Canada Water. Probably the most touristy food market in London, but still one of the best, Borough Market is a great choice for picking up some tasty food. The raclette stall is perfect for an indulgent treat. Maltby Street Market is featured in our 24 Hours as a Londoner video. On a sunny weekend, it’s the ideal spot for lunch. Here are some extras that we wanted to include in the film, but couldn’t due to timing/logistics. One of the most authentic-looking Japanese restaurants I’ve found in London, Koya Bar wouldn’t be out of place in Japan. Open from breakfast through to dinner, the tiny restaurant serves inventive Japanese cuisine in a friendly and convivial setting. 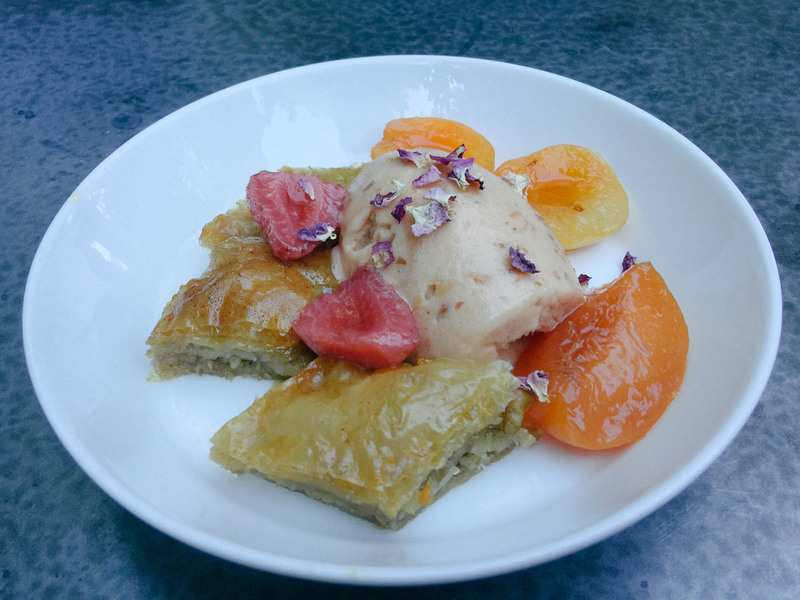 Yalla Yalla specialises in Beirut street food and has become a London favourite, making Time Out’s list of the the top 100 restaurants in London. From falafel to shawarma, it serves Lebanese classics with style. There are currently three sites in London: two in Soho and one in Greenwich. 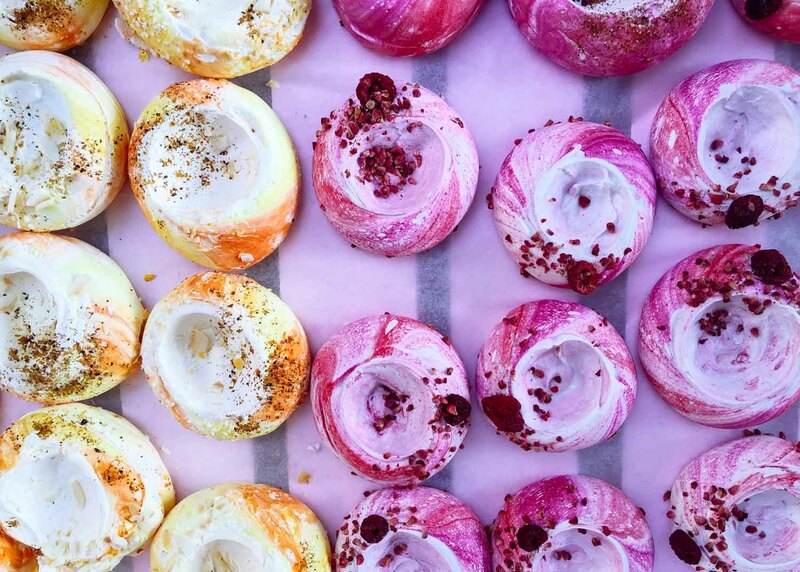 For some more London food experiences, you could try a food tour. 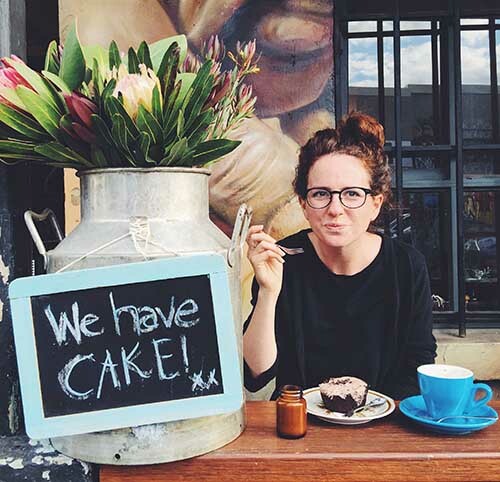 Lucy at On the Luce has written a good guide to the best London food tours. And remember to follow me on Instagram here. All these places look great. Hoping to visit London soon and compiling a little list, had to add these! A friend from London recently was raving to me about how much I’d love Dishoom since I love Indian, so that one as already there. Agree with you that diversity of food options is so great, my favourite cities are usually those with a lot of good international food. Interesting list! Been meaning to do one like this on Mumbai. Should get down to it. I have written a few posts on London, particularly on seeing the city with children. Would love to know what you think of them! Great list, I must visit all. Great share.